In late august, Starkey Hearing Technologies finally unveiled the company’s much-talked about, Livio AI hearing aid, what the company has dubbed as the world’s first Healthable™ hearing aid. In an innovative and unique approach to hearing technology, with the help of integrated sensors and artificial intelligence, the new devices are “the first to track physical activity and cognitive health”. 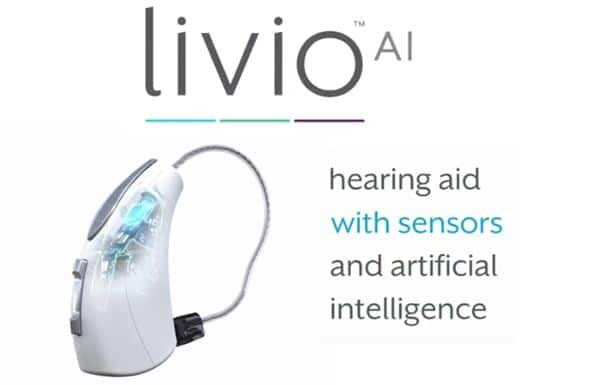 The Livio AI hearing aids interface with a new mobile app—Thrive™ Hearing—as well as three new wireless accessories: a TV adapter, Remote Control and Remote Microphone+. With the Remote Microphone+, the Livio AI is the first hearing aid to feature connectivity with Amazon Alexa. The company’s new technology, New Hearing Reality™, helps “reduce noisy environments by 50-percent, significantly reduces listening effort and enhances speech clarity, while artificial intelligence optimizes the hearing experience”. Integrated Sensors and Artificial Intelligence: The Future of Hearing Aid Technology? Livio AI is currently available in the United States and Canada and will become available in over 20 countries in 2019.